At the beginning of the sixties, Cataluña receives an immense wave of immigrants from Andalusia. Laborers fleeing their homeland with its scarcity of jobs and sub-human working conditions arrive in Barcelona on the Catalan train. At the same time, Terrassa is undergoing an industrial boom: the smoke from the chimneys of the textile plants is a testimony to its growing affluence. This is the history of a sixteen-year-old boy from Cordoba who arrives in Terrassa with his entire family and a suitcase full of hopes and dreams. The discovery of a new world and new friendships fills his days. A story of survival in the 1960s amid factories, mansions, and slums, against the backdrop of a tragic event, the infamous flood that ravaged Vallès Occidental in 1962 and changed people’s lives forever. 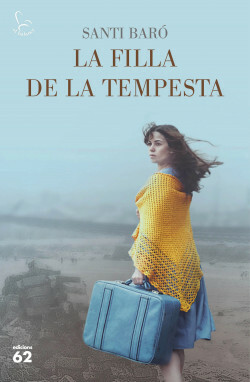 A novel that shows us the human side of a major societal shift, the wave of immigration in Catalonia in the fifties and sixties. A complete portrait of a generation. A story of individual and collective survival with moments of intrigue.